Usher in the Year of the Monkey with a fantastic gastronomic indulgence fit for an emperor at Ti Chen, The Saujana Hotel. 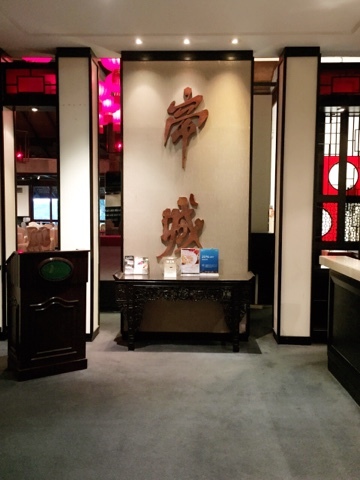 From 16 January to 22 February 2016, Ti Chen which specialises in fine 'halal' Cantonese cuisine serve a luxurious gourmet feast for the festive celebration. 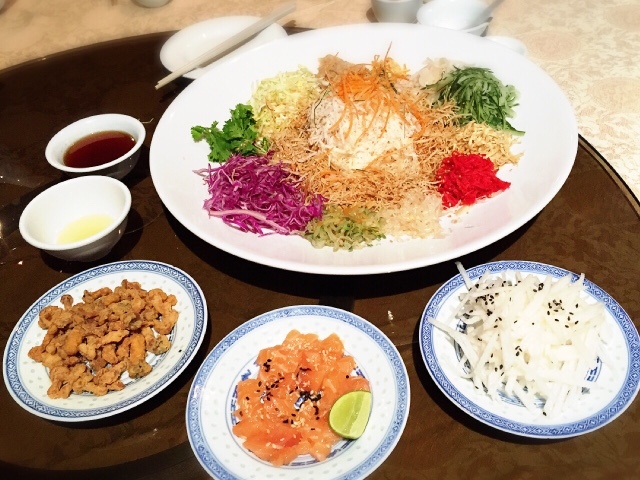 Chef Sam Lu's signature yee sang creations featuring juicy Korean pear and crispy mushroom (add on) a twist to the traditional yee sang. 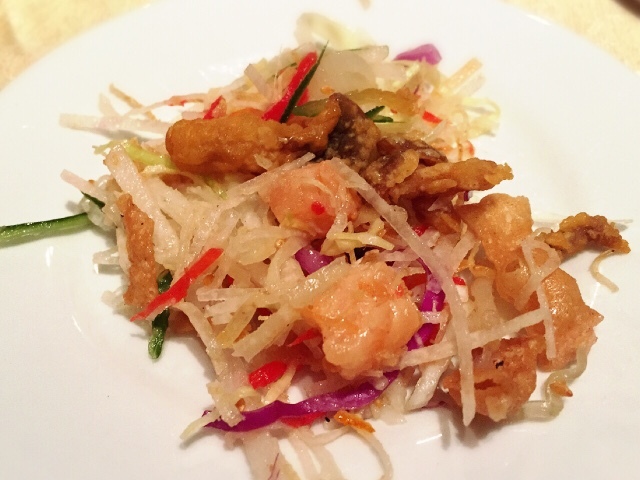 Other varieties to opt for including Abalone, Salmon, Jellyfish and Crispy Mushroom Yee Sang are available for dine-in and take away priced starts from RM88 onwards. 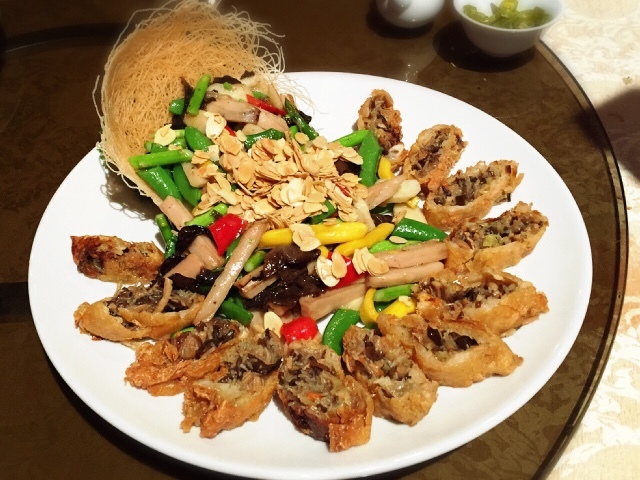 Simply adores the crispy mushroom which bring the Yee Sang to a whole new level. Hearty soup served piping hot, one of my favourite dishes of the evening. 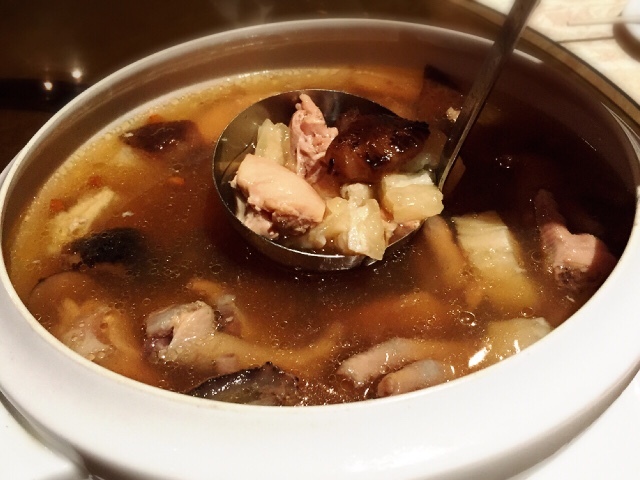 It may be simple but the flavourful soup is equally nutritious with its premium ingredients. 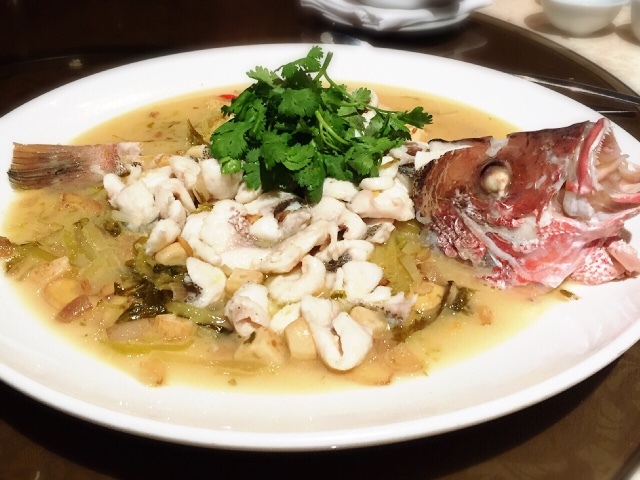 Perfectly cooked sweet and succulent red snapper fish fillet complement the tangy and sweet sauce pretty well. Next up, a cold dish of shredded chicken coated with heavenly sauce is too good to resist. Even chicken breast could taste so tender and moist. 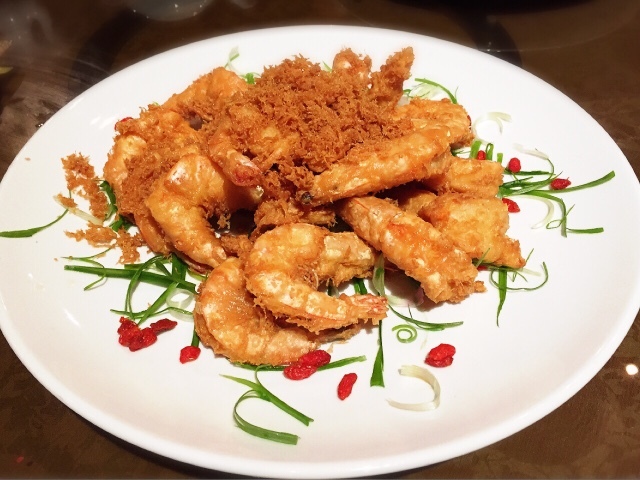 Fresh and succulent prawn fried crisp is truly fabulous with the strong aroma of sand powder spice. Thumbs up! 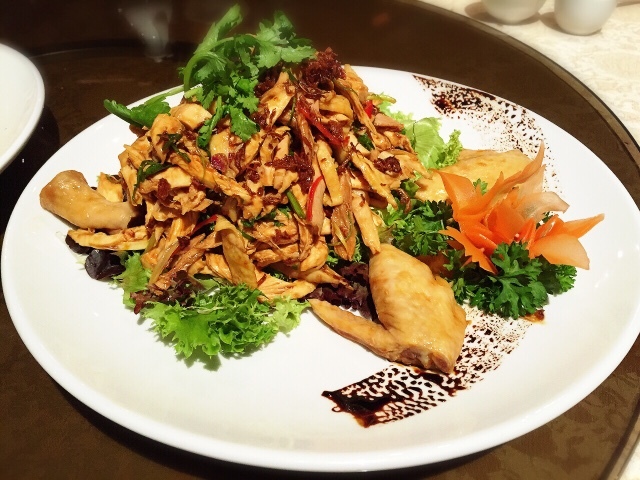 Interesting stir-fried combination of jackfruit, sweet pea, black fungus, almond slices, capsicum and arrow roots. 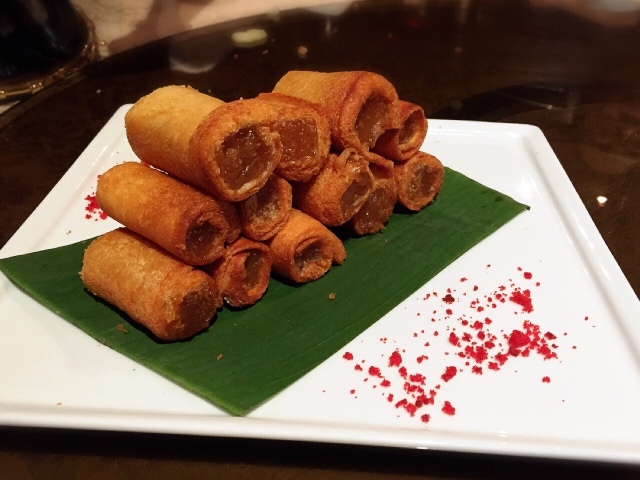 The vegetarian rolls stuffed with black fungus, carrot and mushroom is mouth-watering too. 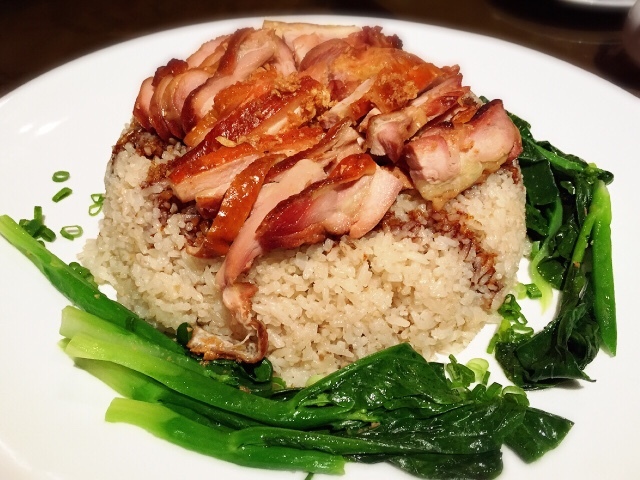 Ti Chen's version of chicken rice. One of the tastiest chicken rice I've tasted so far! If you know in person, I'm not a rice lover, but I couldn't resist to took several helpings of this. Creative pairing of 'nian gao' with bread toast though it's tad oily for my preference. 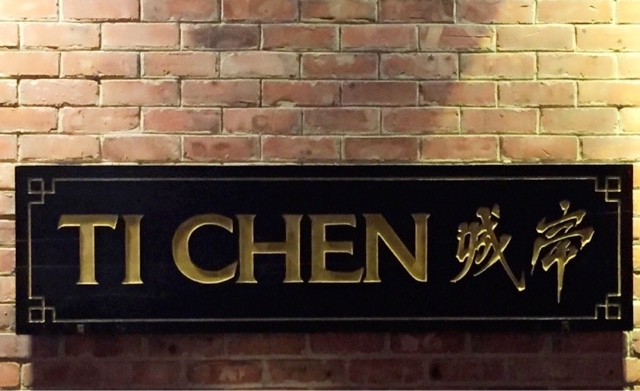 Ti Chen is definitely one of the best Chinese New Year menu I've sampled so far in 2016. 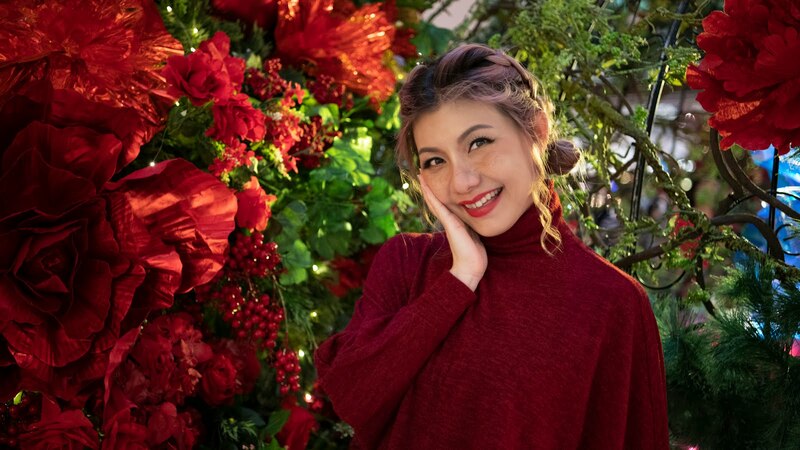 The multi award winning Chef Sam Lu has more than 18 years of accumulated culinary ingenuity and are constantly on the look out for new ingredients and flavours to arouse diners palate. 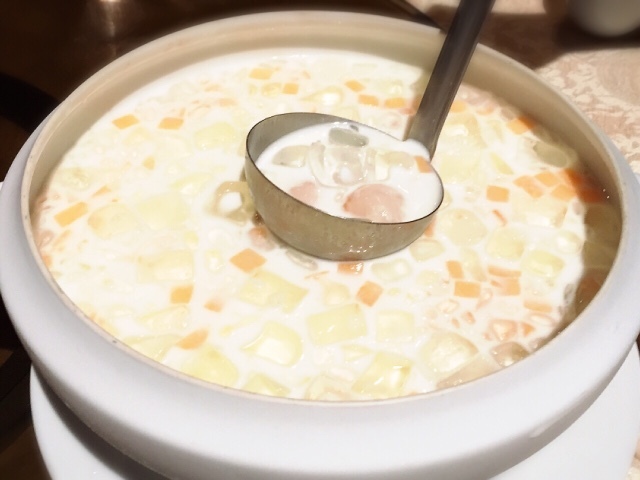 I would love to try the sago lychee. 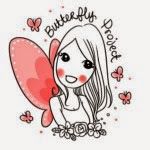 Happy preparation for CNY to you.